The Gorge Community Foundation welcomes The Dalles Civic Auditorium Endowment to its list of designated fundholders. 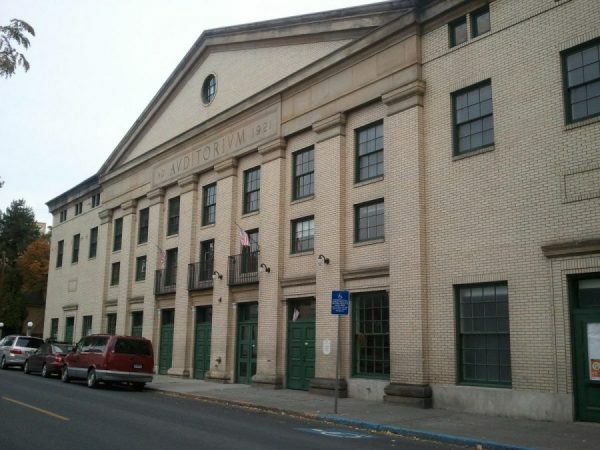 The Civic Auditorium, completed in 1921 in the Beaux Arts Classic Revival style, harkens back to a golden age of civic architecture and the Civic Auditorium Historic Preservation Committee is dedicated to preserving this cultural icon in the Gorge. The Civic is host to a variety of events, such as weddings, quinceaneras and trade shows. Restoration is an on-going labor of love, with over $3 million worth of materials and countless hours donated by architects, historians, contractors and volunteers. The Civic’s theatre is currently undergoing a phased renovation. Phase one is scheduled to finish by end of June. This includes restoring the plaster ceiling, installing much-needed insulation and painting. The next phase will launch as soon as funds allow. This work would include restoring the stage and a new seating arrangement to accommodate access for all.